American War of Independence. 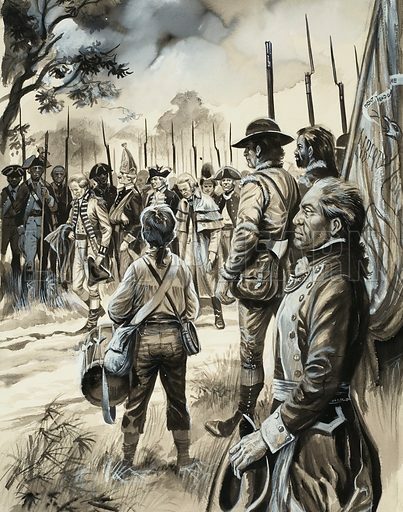 The surrender of the British forces under General Burgoyne at Saratoga was one of the turning points of the war. Original artwork for illustration on p31 of Look and Learn issue no 81 (3 August 1963). Lent for scanning by The Gallery of Illustration. Available worldwide for immediate download up to 3,549 x 4,508 pixels.